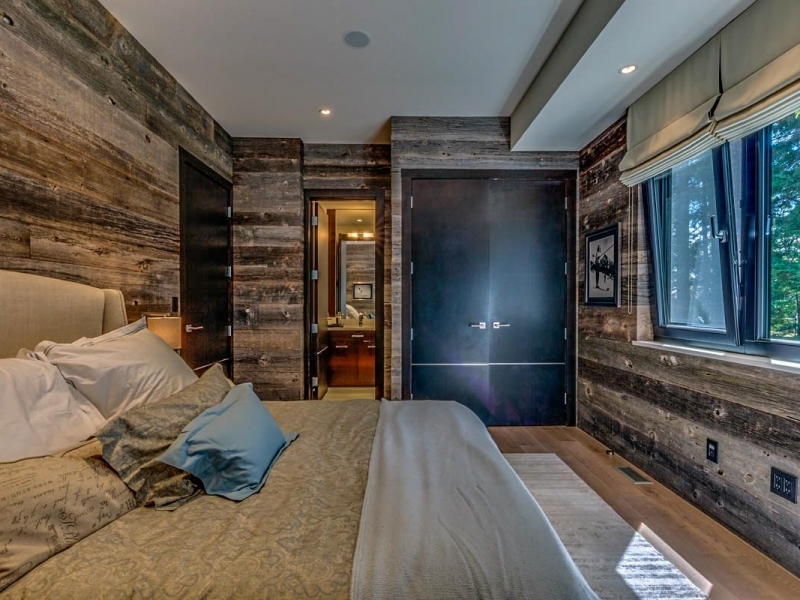 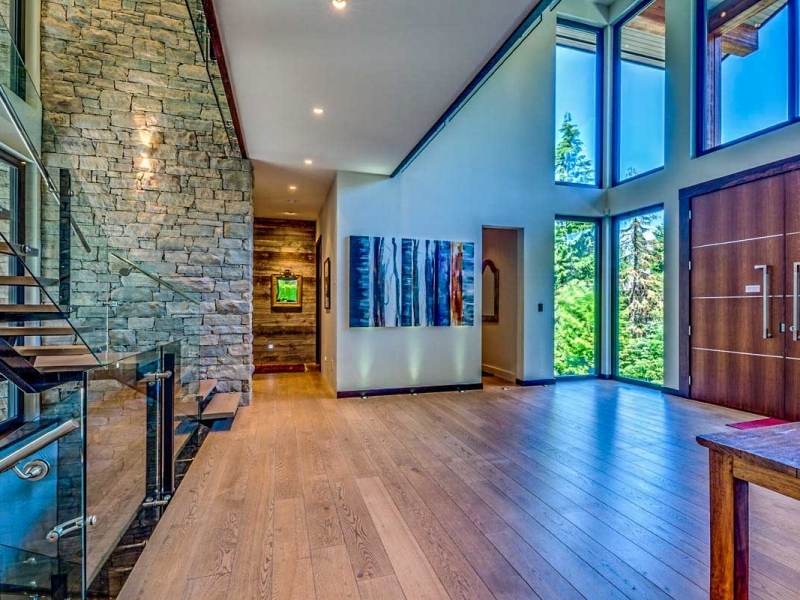 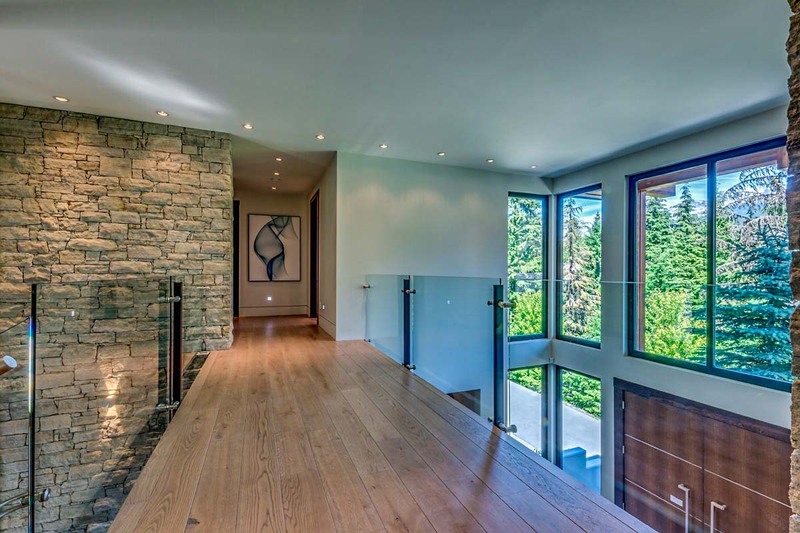 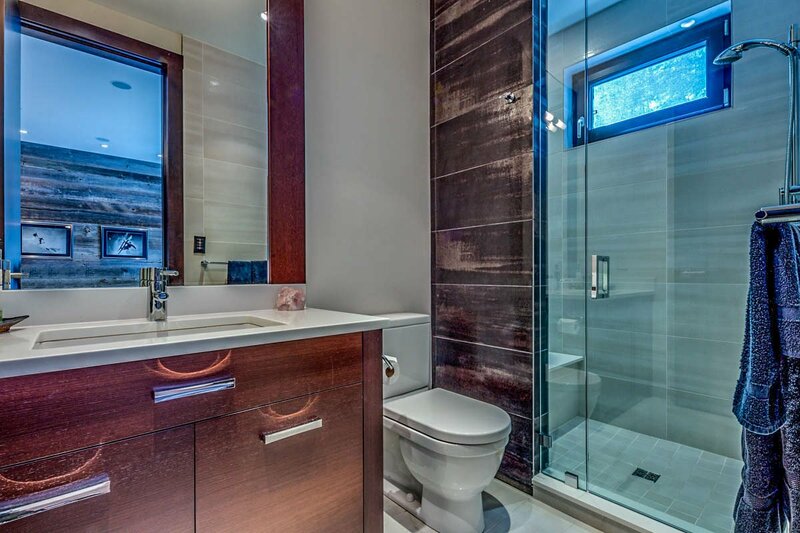 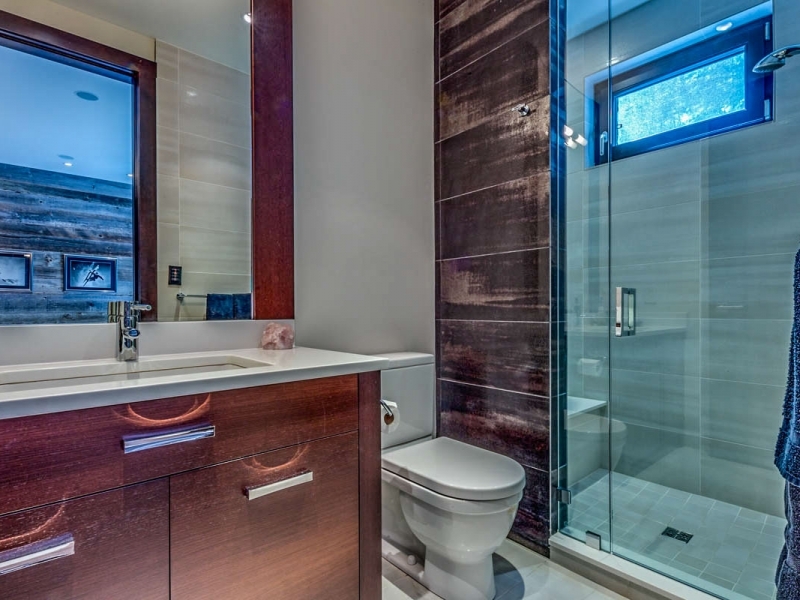 Water bubbles up from an outdoor water feature as you approach this contemporary Whistler chalet. 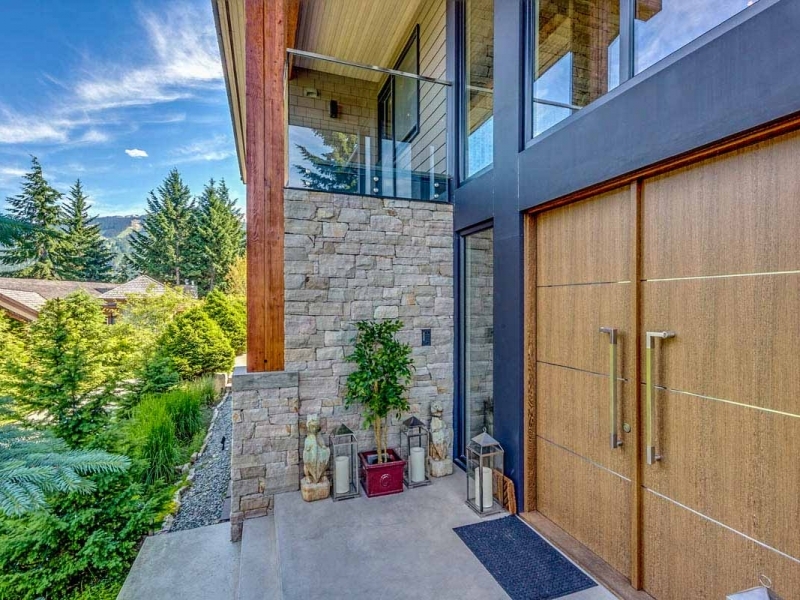 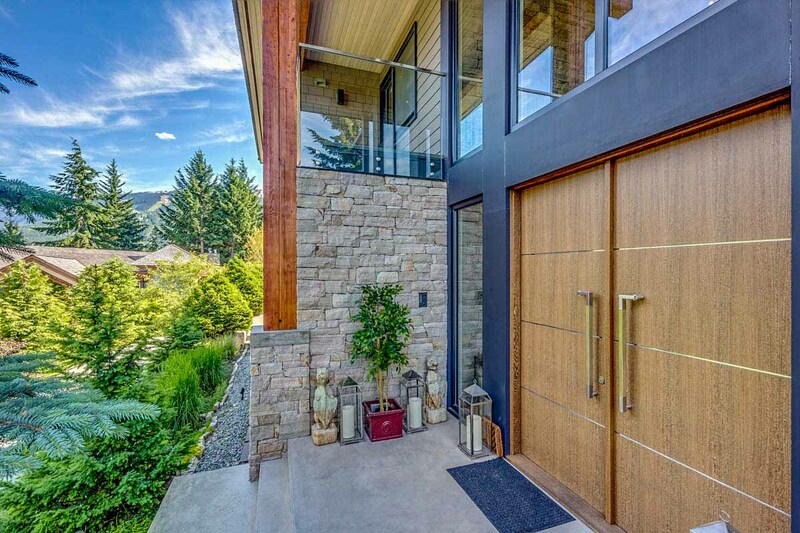 Through the stately double doors lies a stylish mix of stone and wood, pulled together to define and shape over 5000 square feet of luxury living. 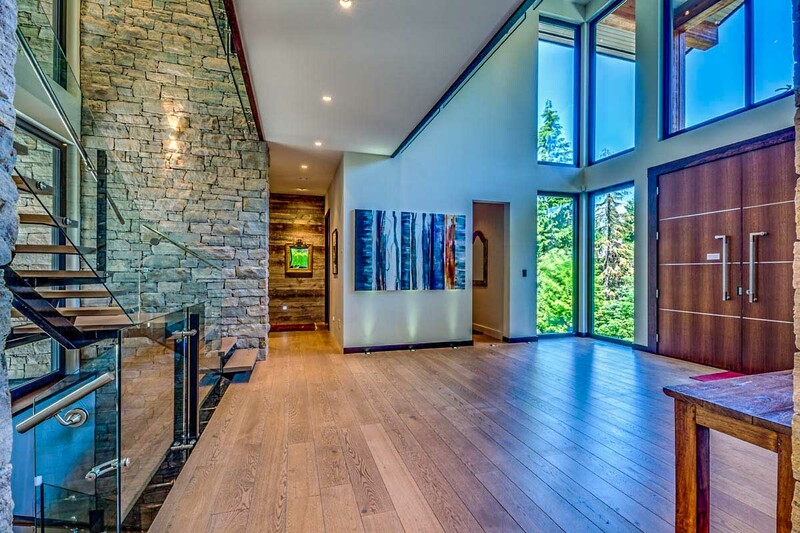 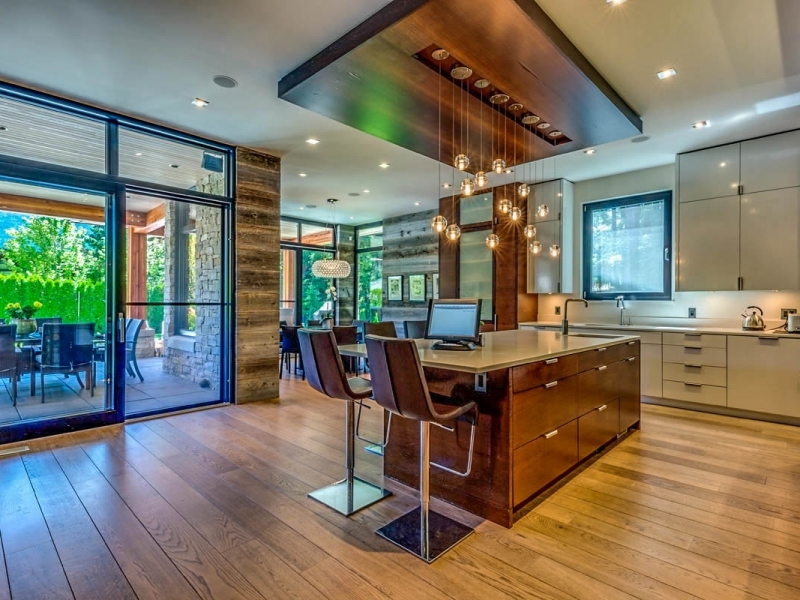 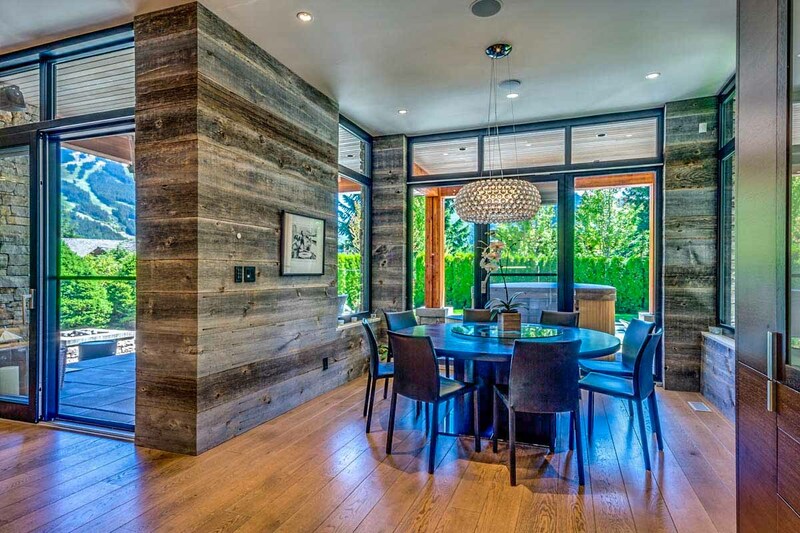 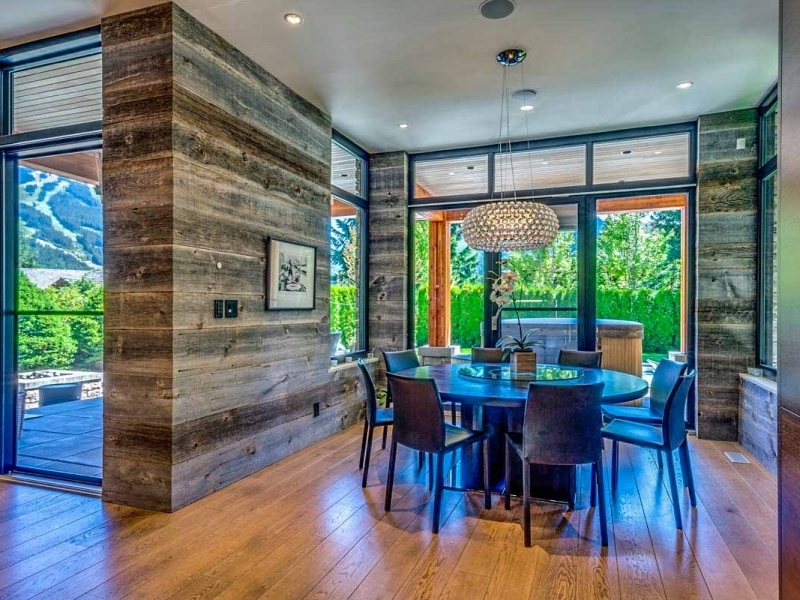 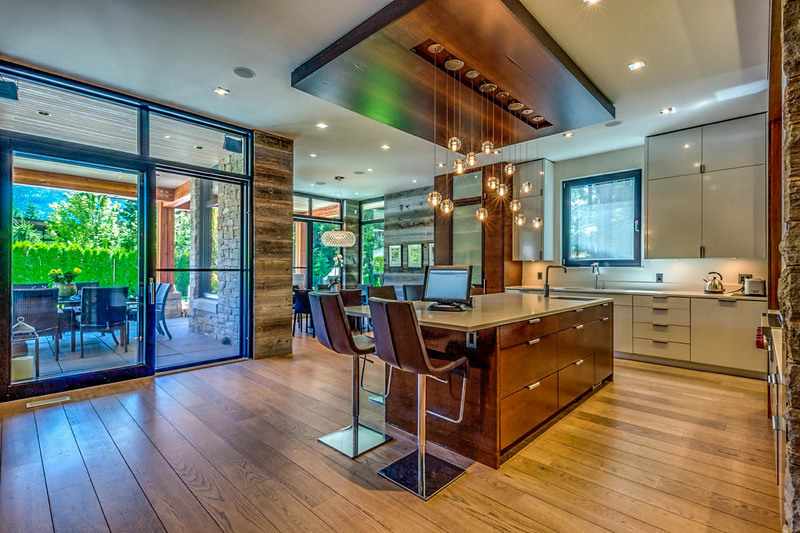 Sun streams through expansive windows, across heated oak floors that run throughout the main living space. 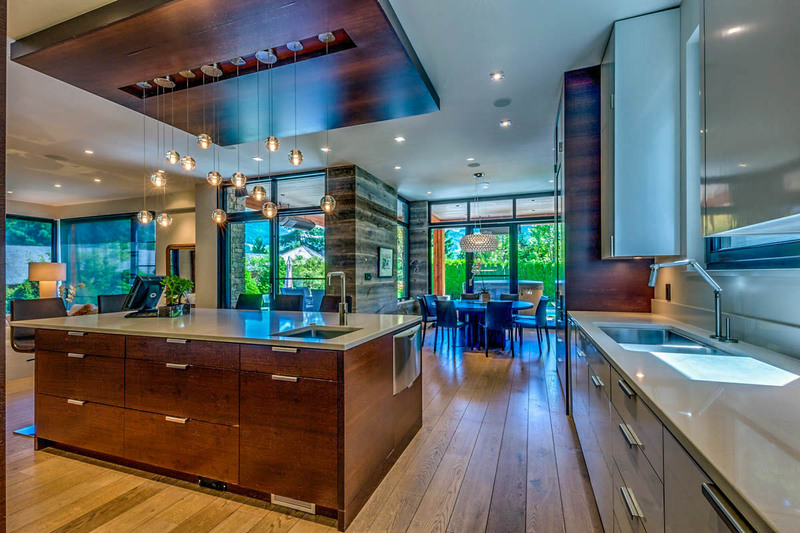 Dark cabinets ground the kitchen, while white countertops and cupboards keep the space clean and airy. 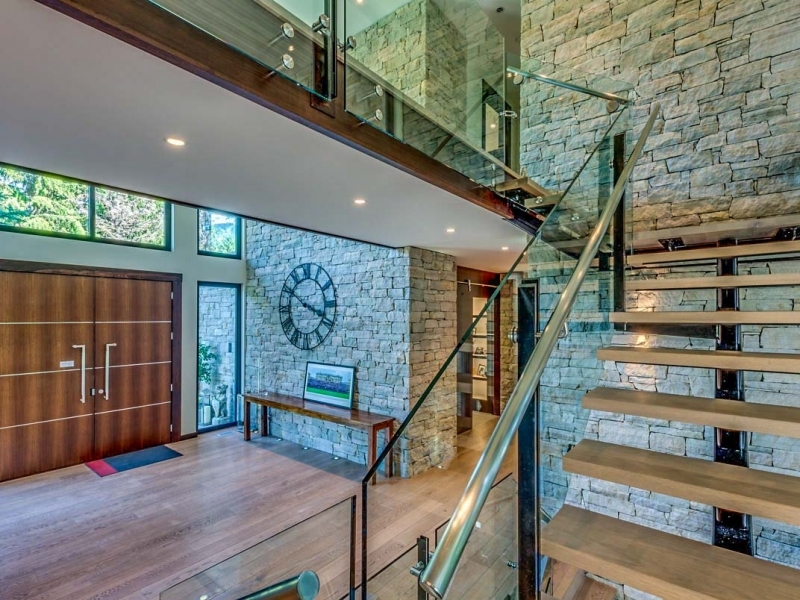 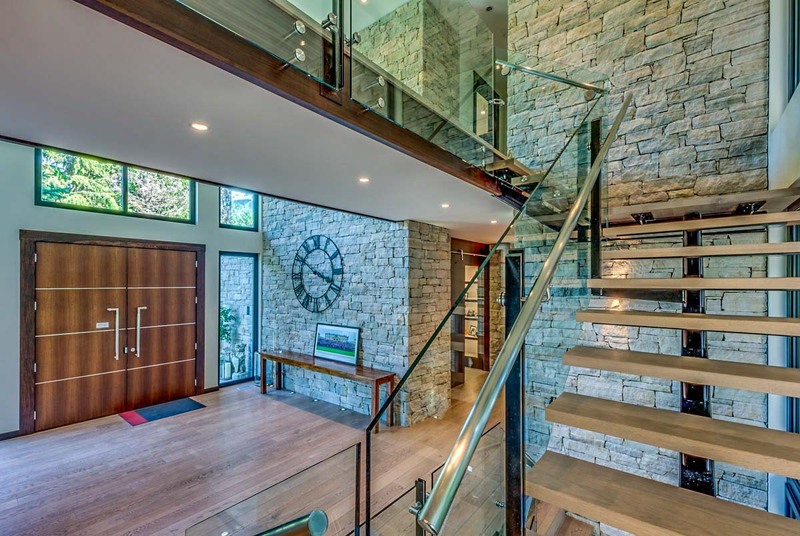 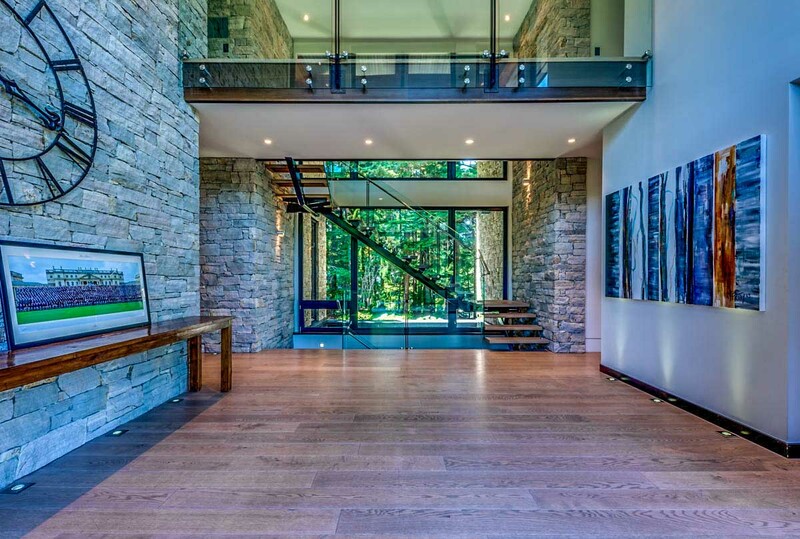 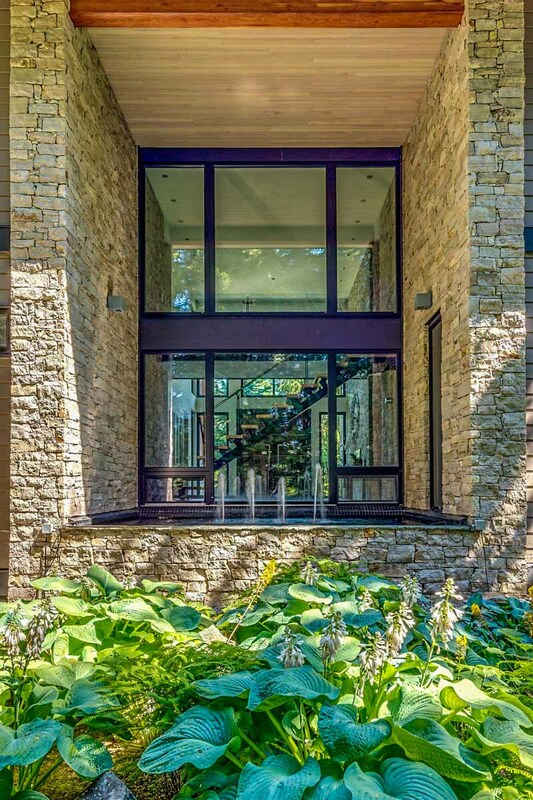 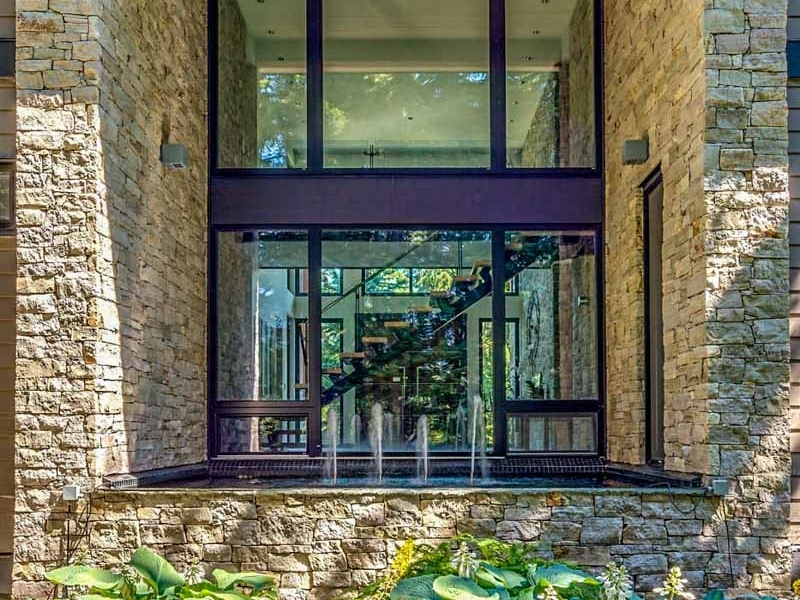 Stairs leading up seem suspended within the forest, as a wall of glass exposes the trees beyond. 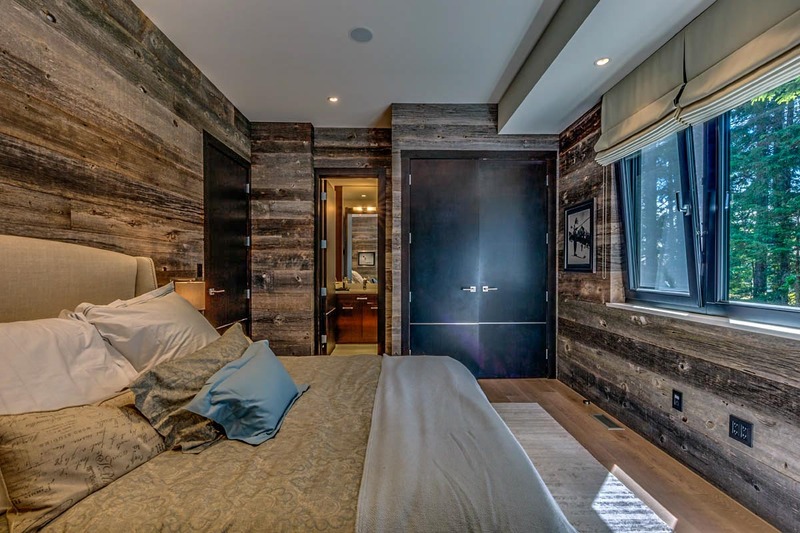 Creamy carpeting leads into the master suite, where dark wood accents and a gas fireplace provide an elegant space to unwind. 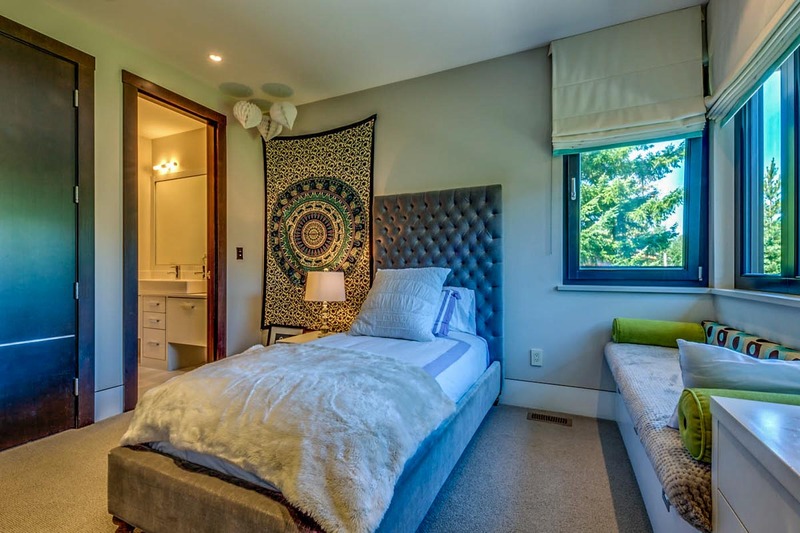 3 additional bedrooms on this level offer plenty space. 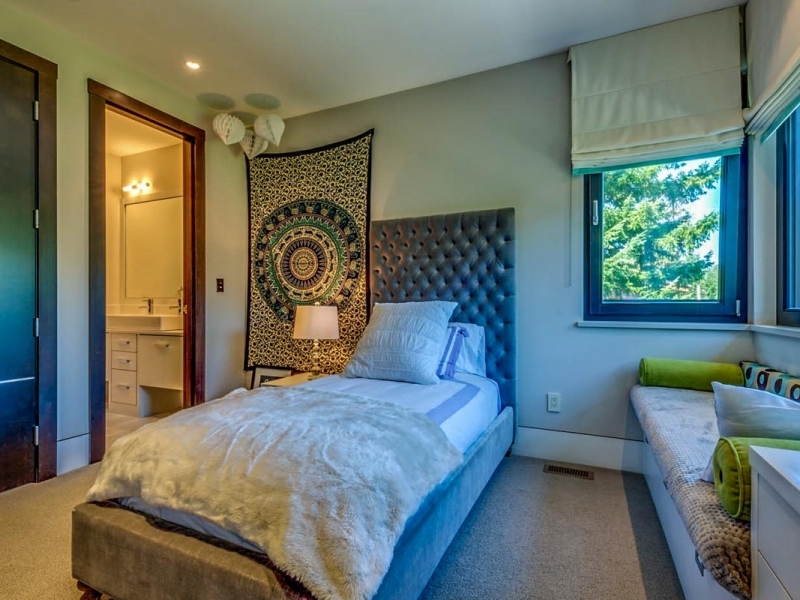 The lower level has a bedroom. 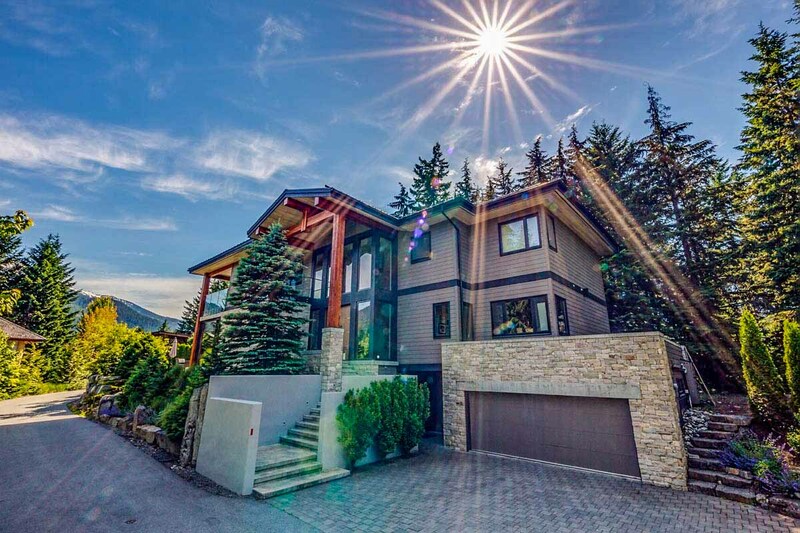 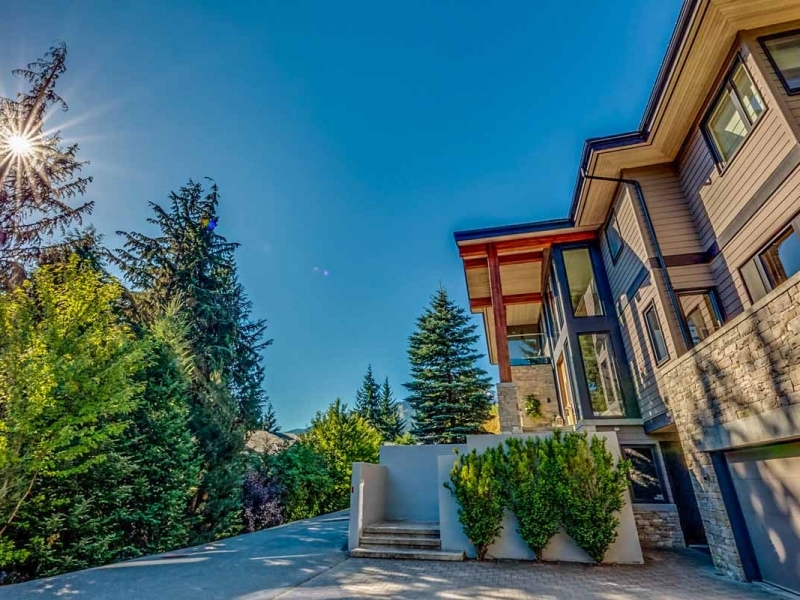 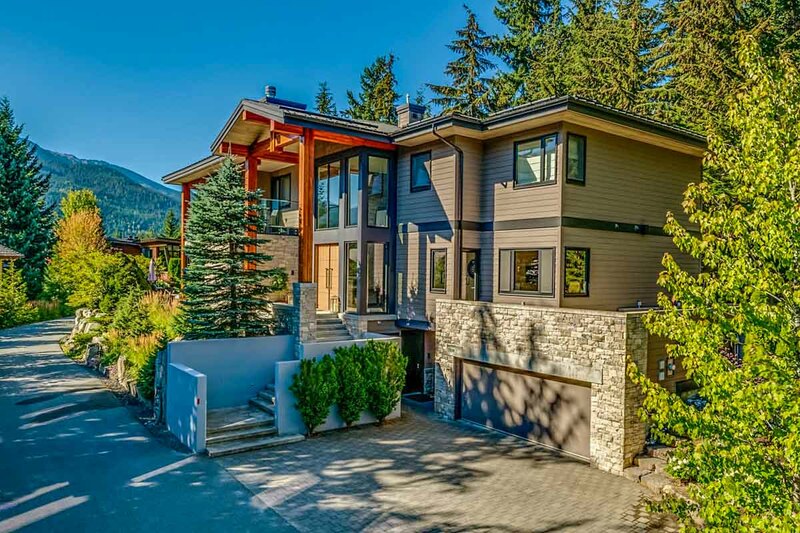 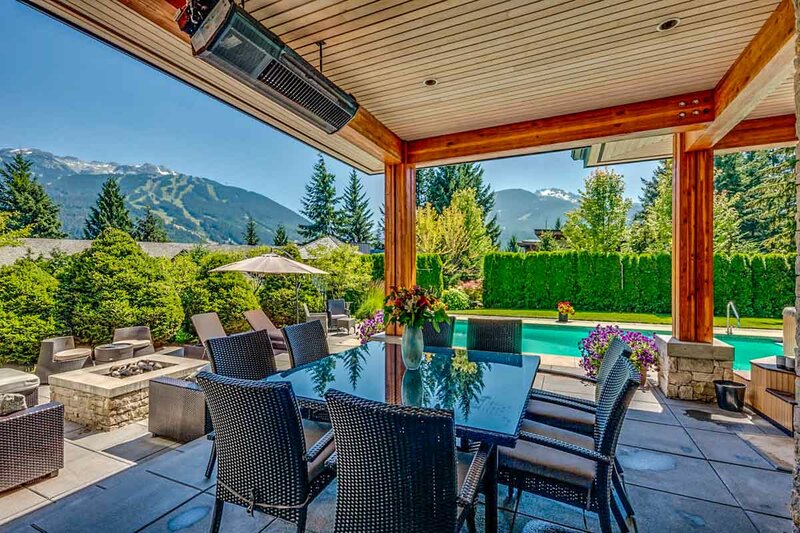 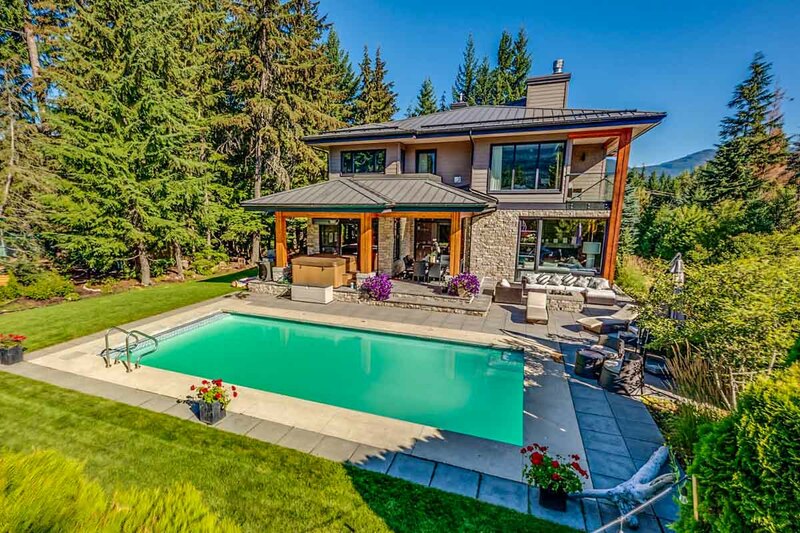 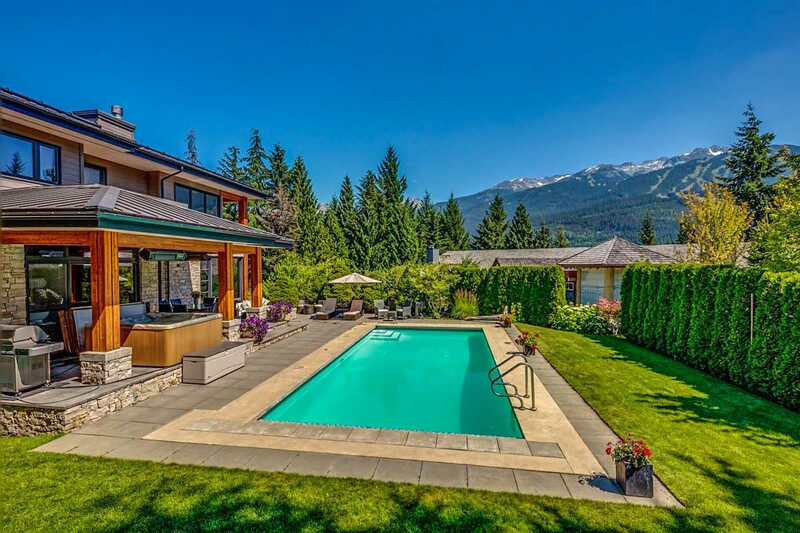 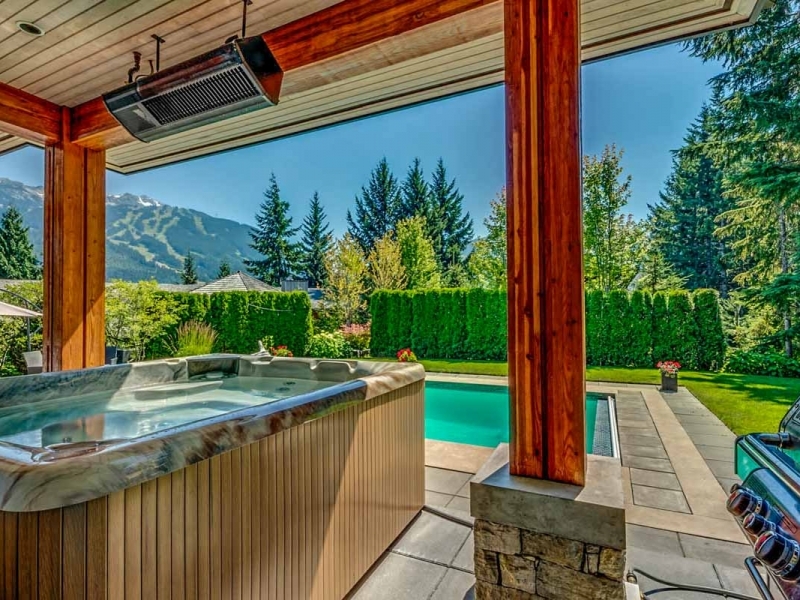 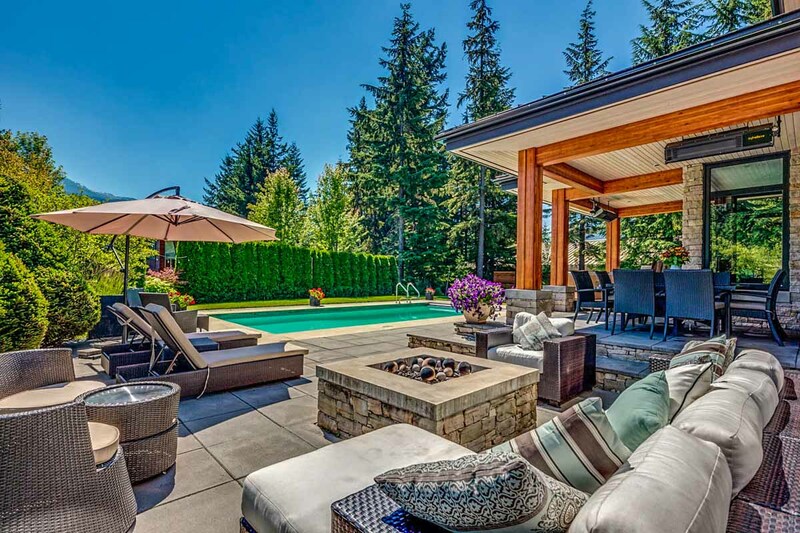 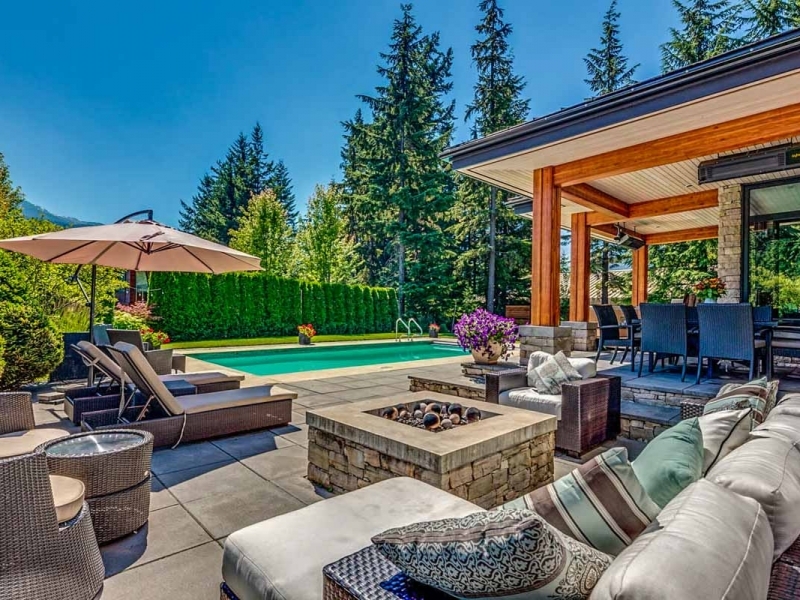 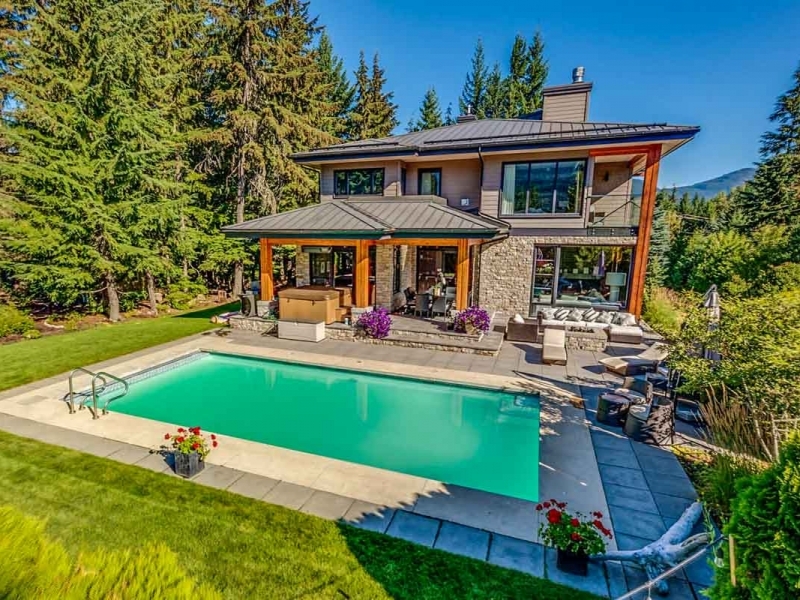 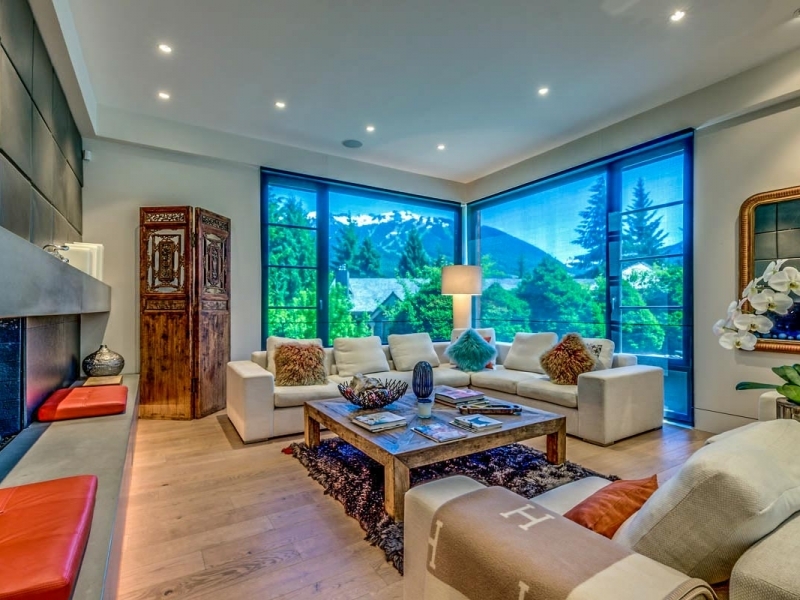 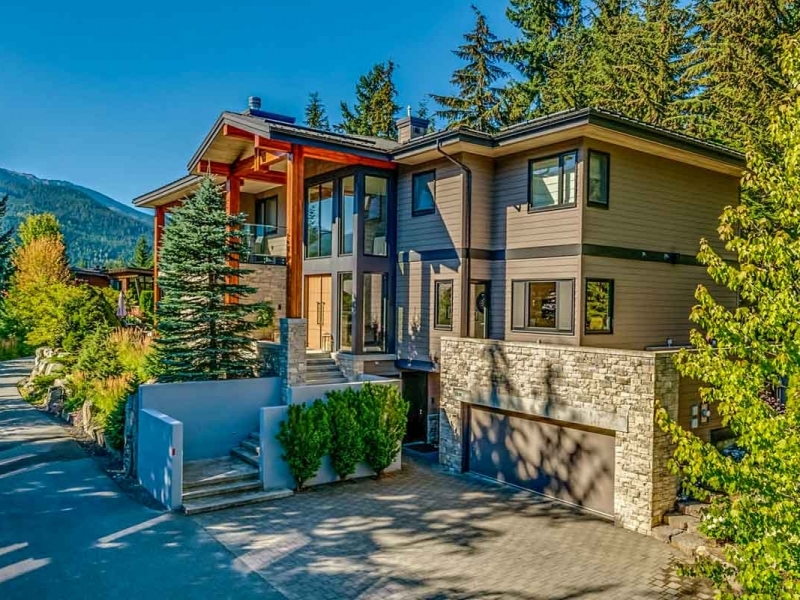 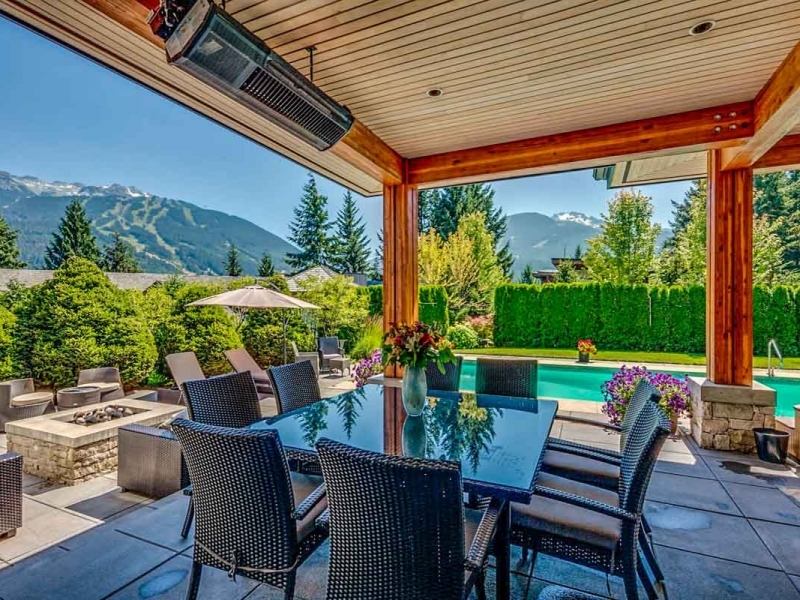 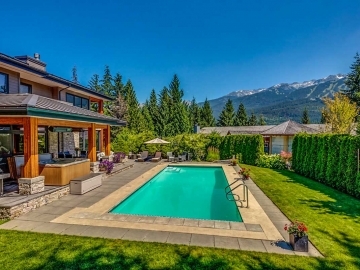 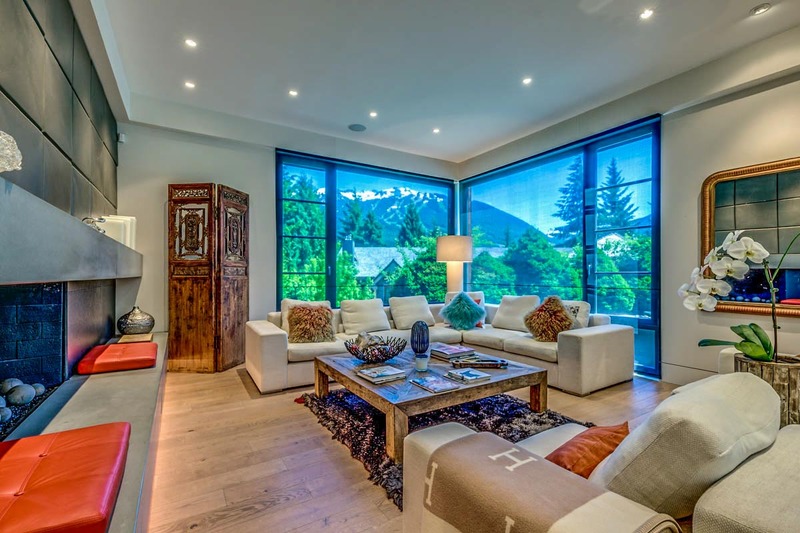 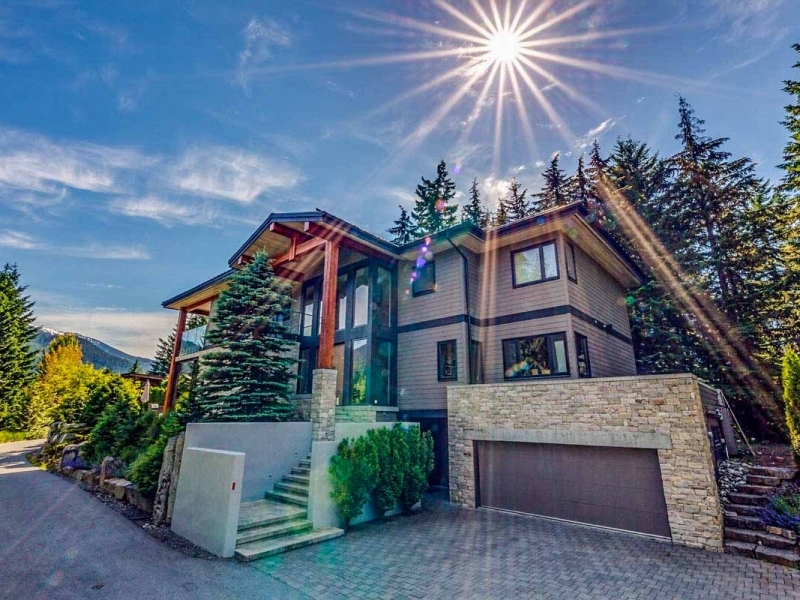 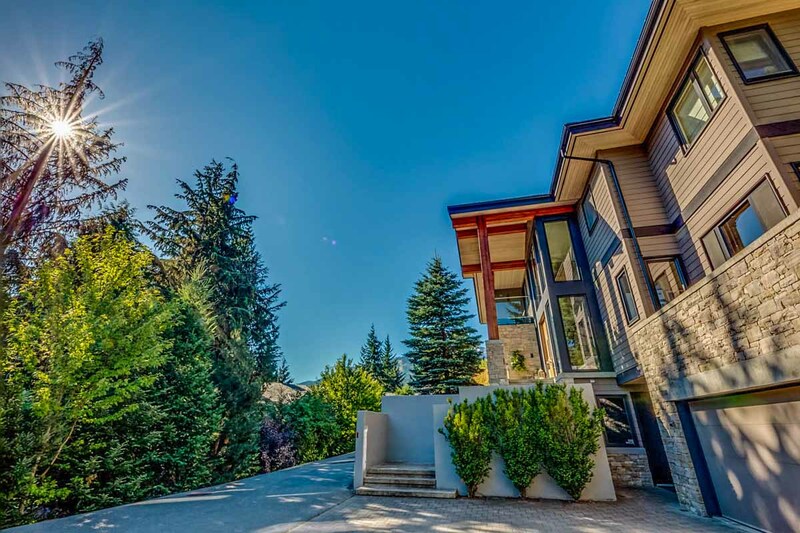 Spend your days and evenings outdoors and enjoy an exquisite heated pool (heated from May-October only) and raised stone firepit on the terrace look out towards Whistler and Blackcomb, linked spectacularly together by the Peak to Peak Gondola. 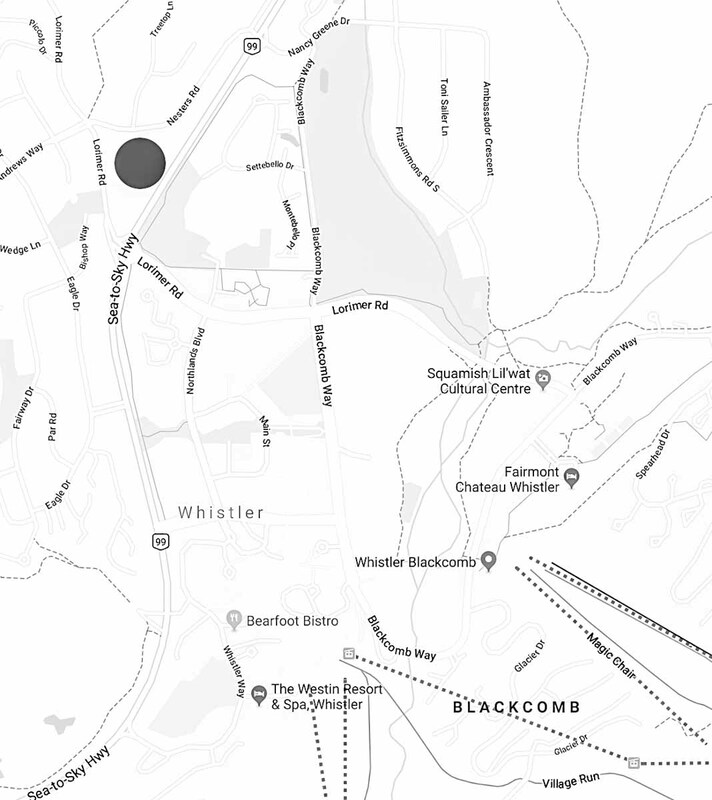 A short walk to the Village will bring you to the foot of each, where restaurants and shops are all within reach. 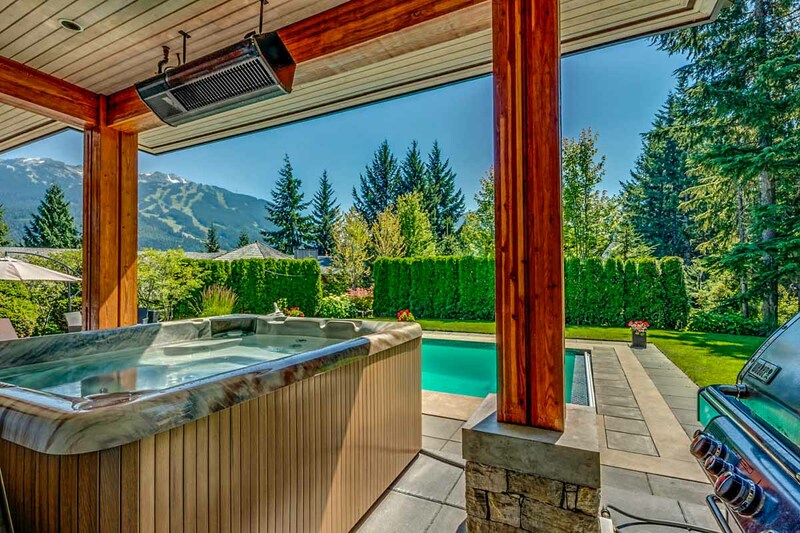 The ultimate in resort living, private yet connected. 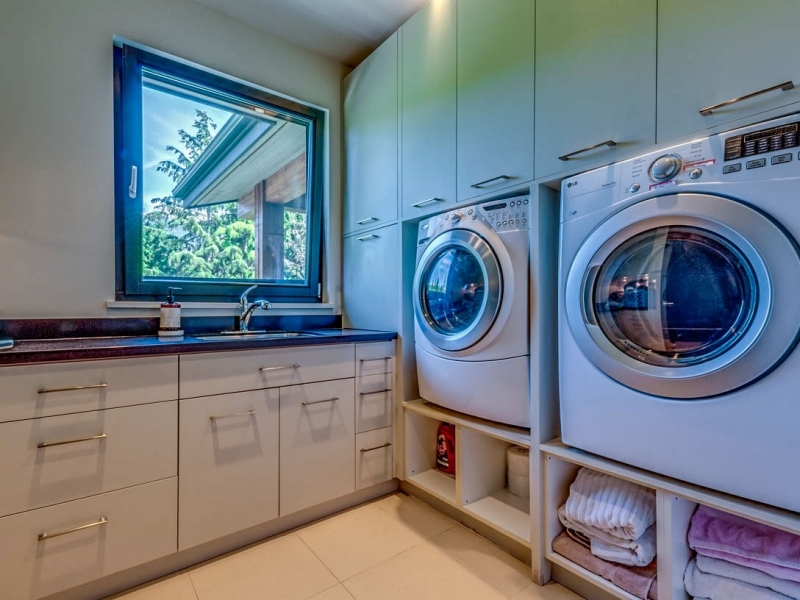 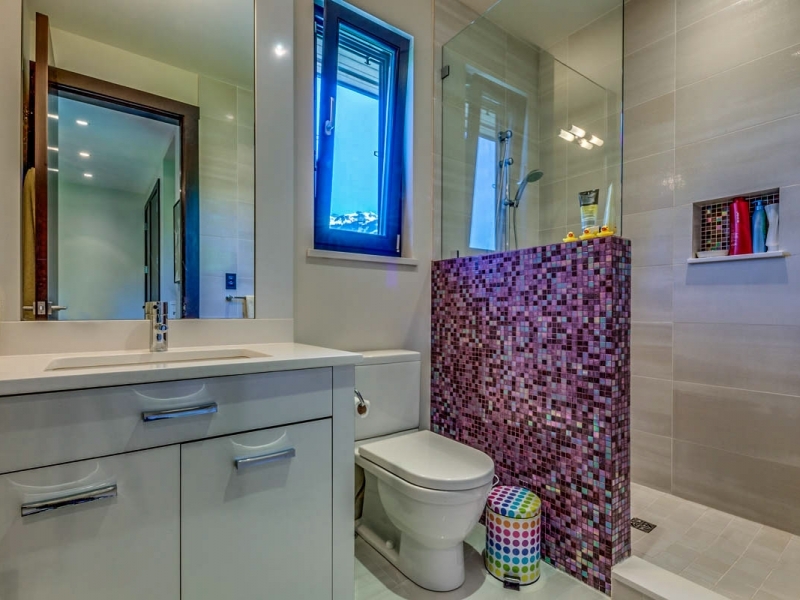 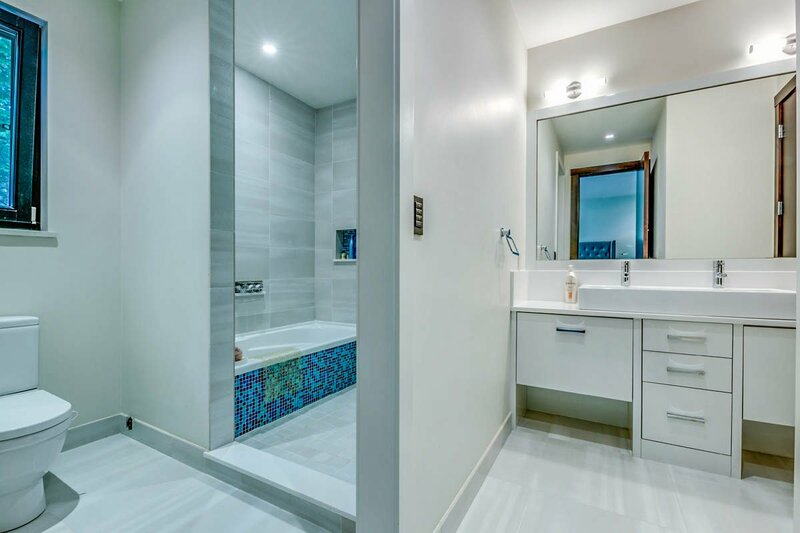 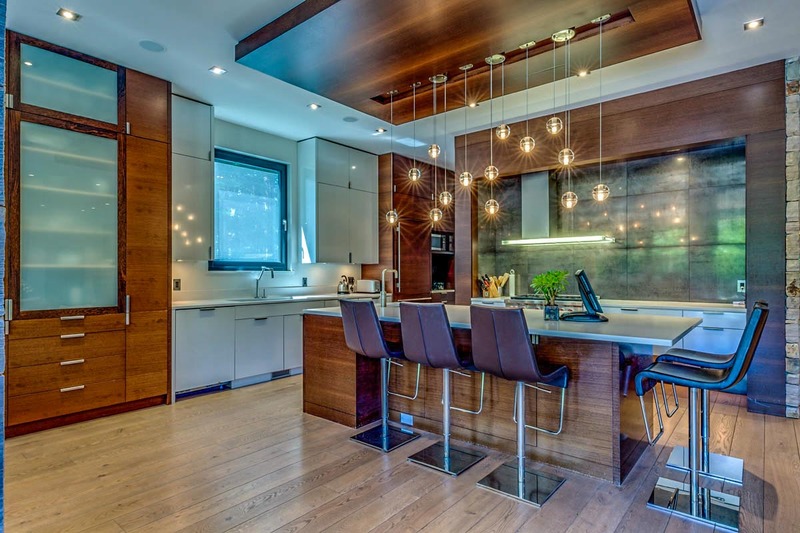 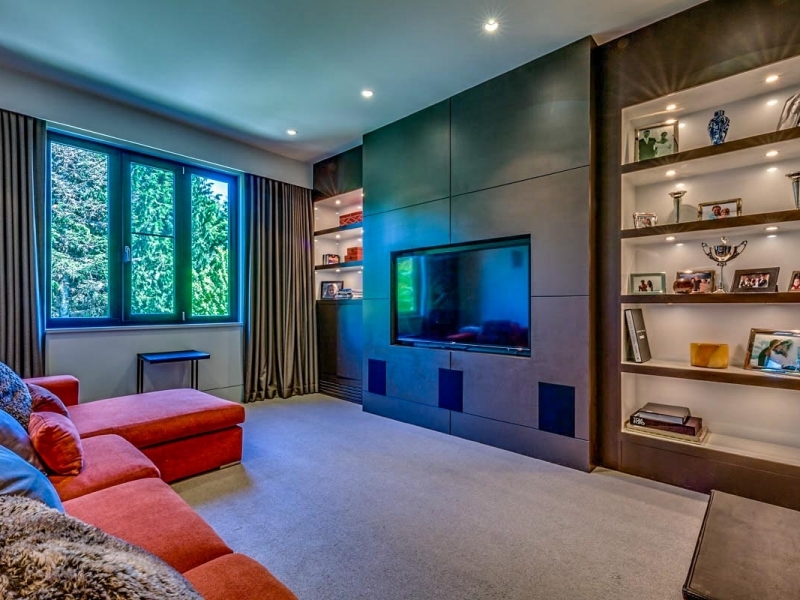 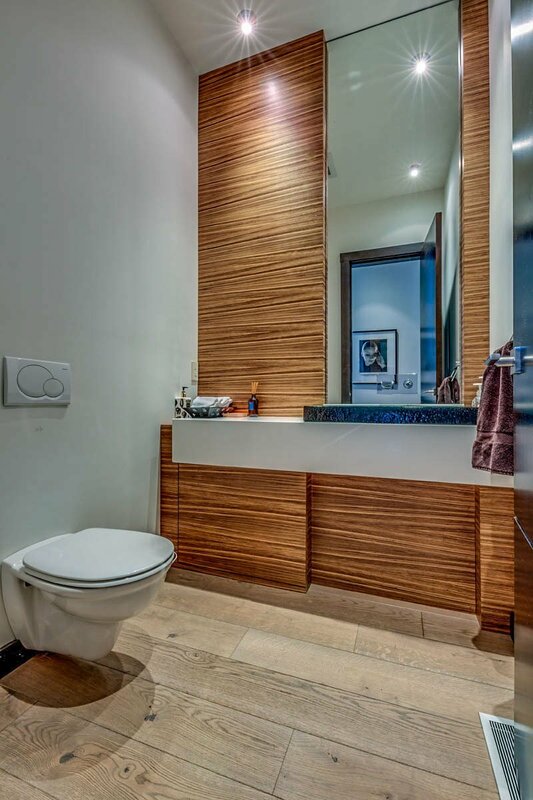 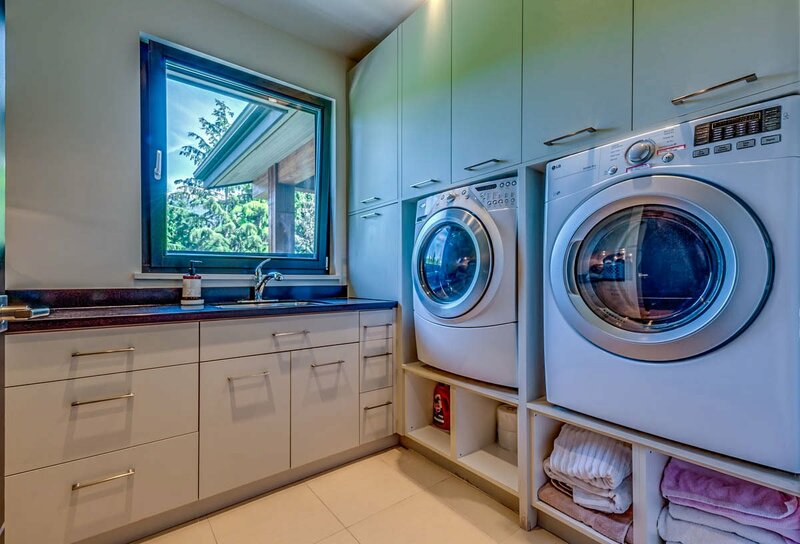 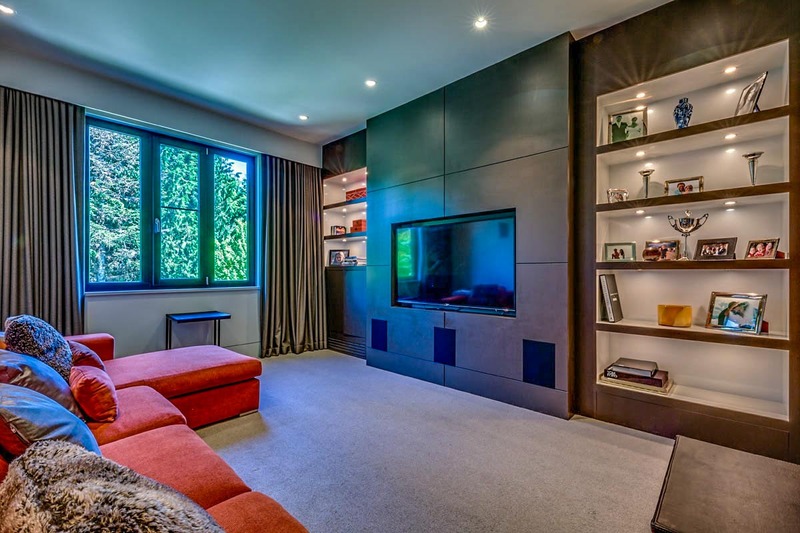 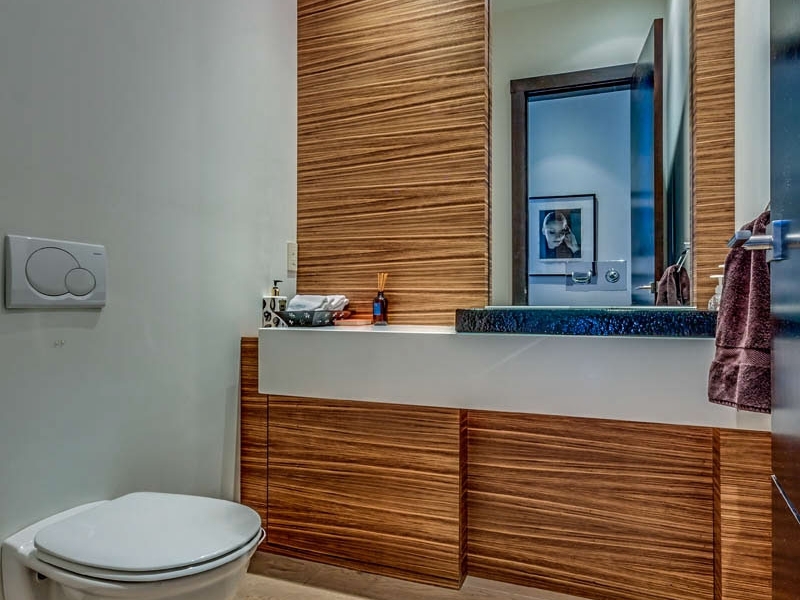 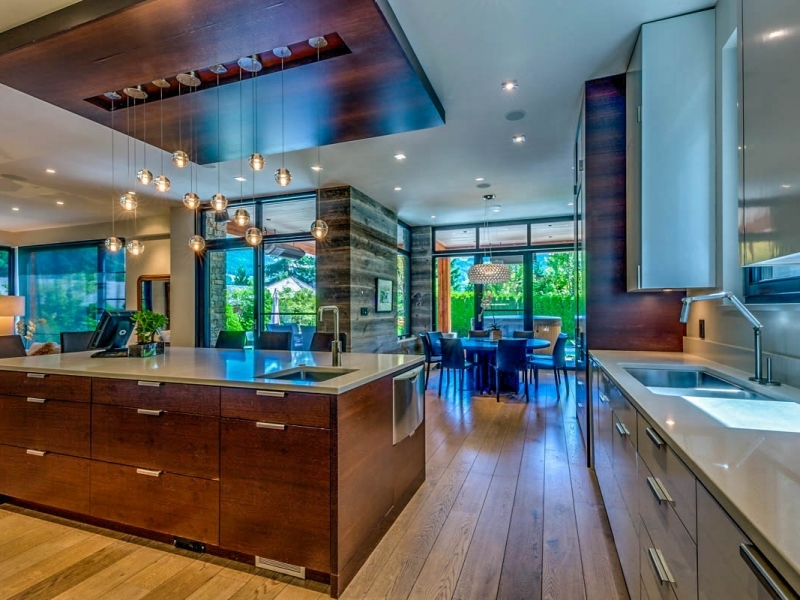 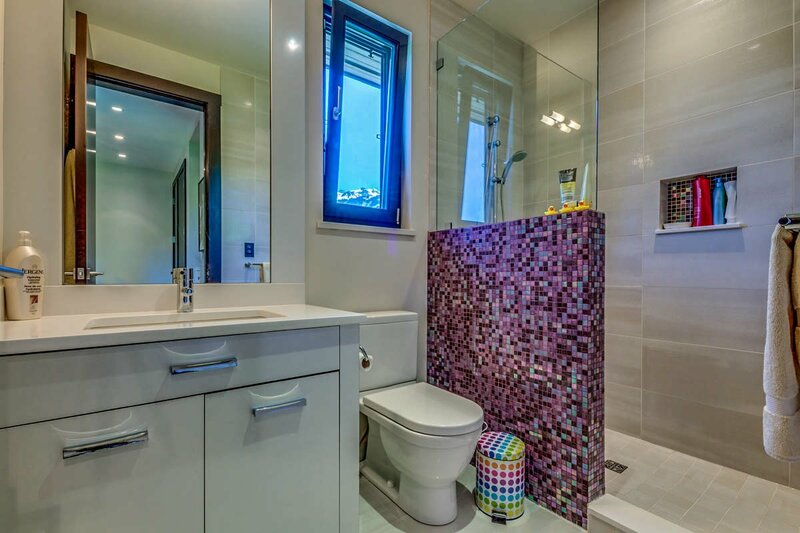 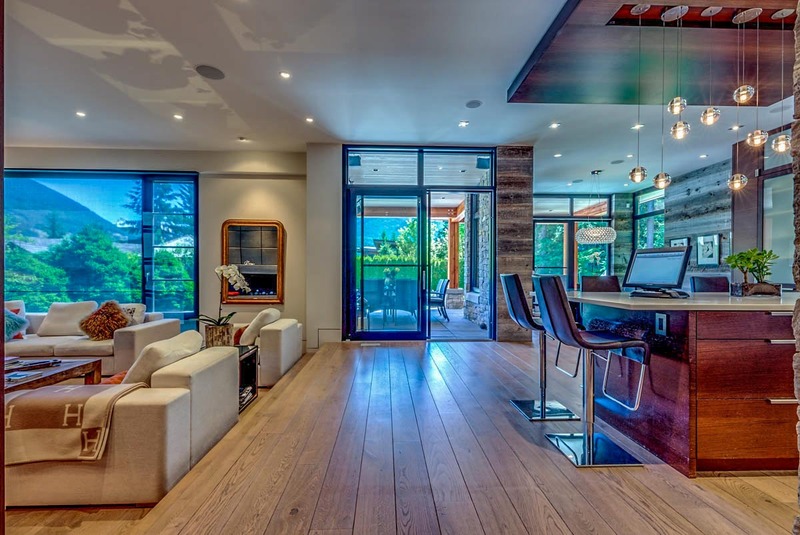 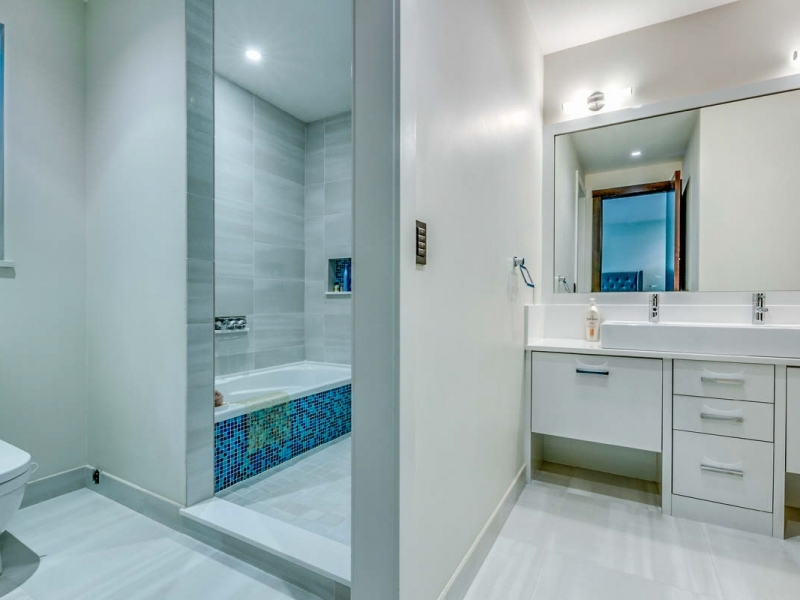 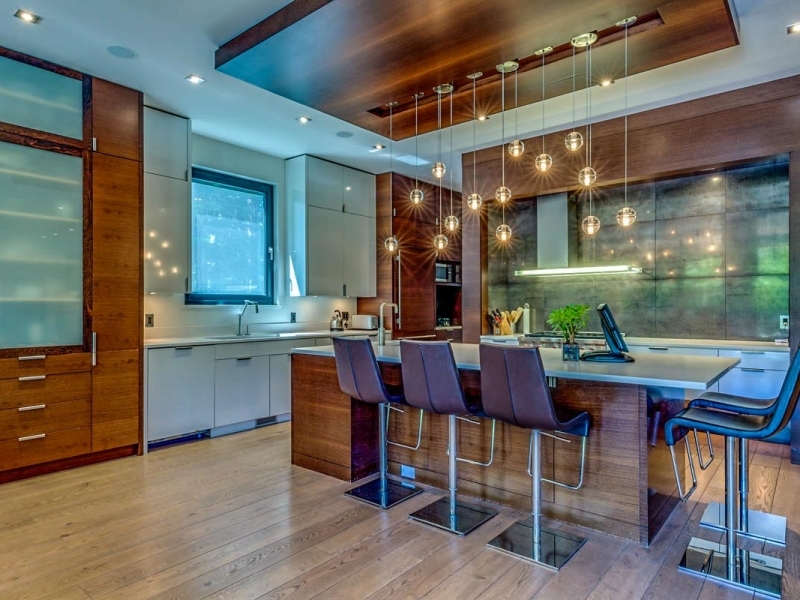 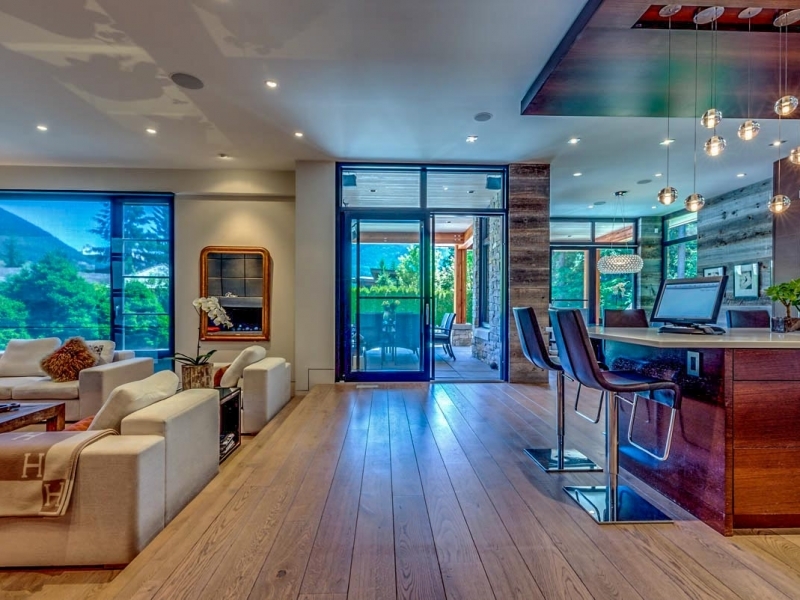 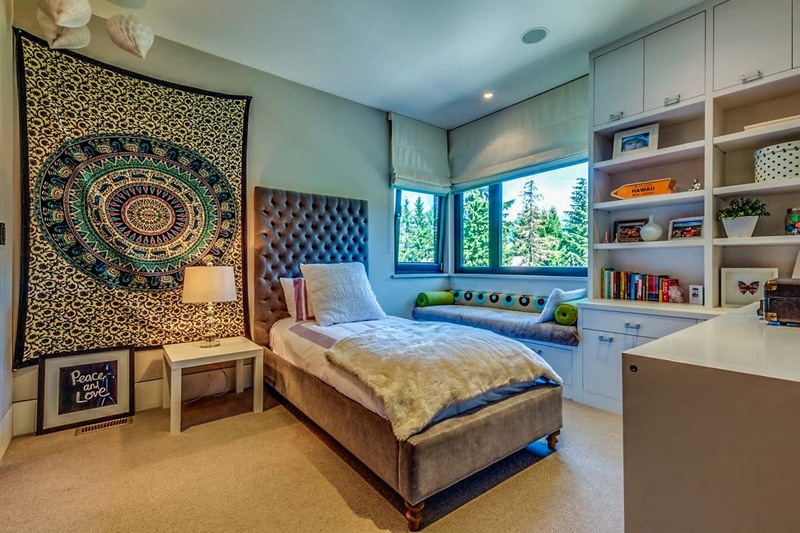 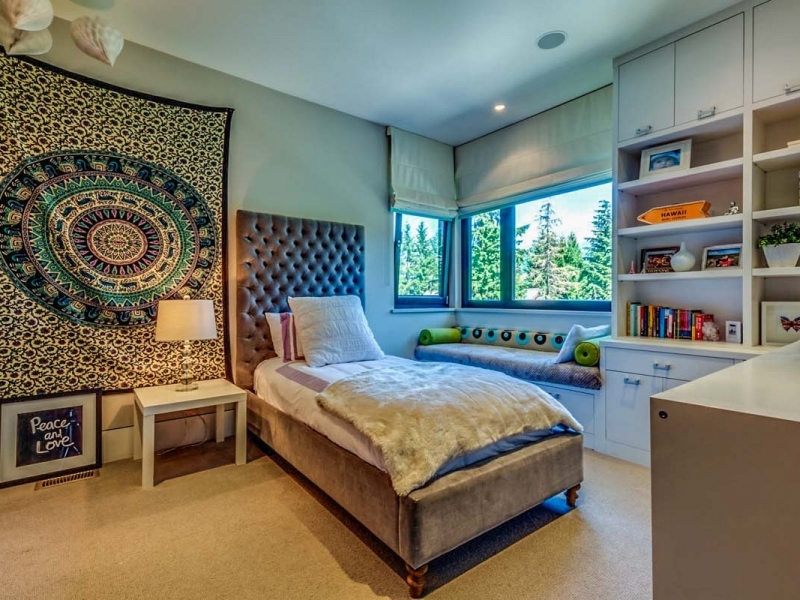 This contemporary home is located within walking distance of the main village.